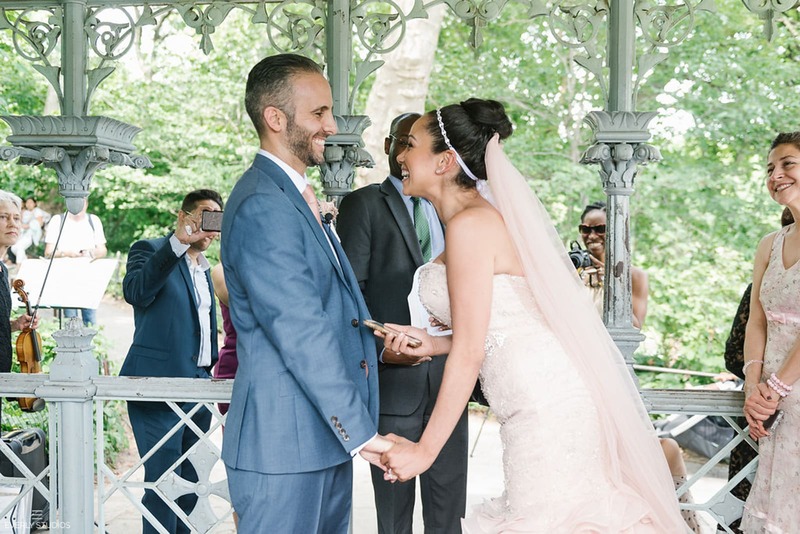 It was a sweltering July day, and a few summer storm clouds loomed in the sky. 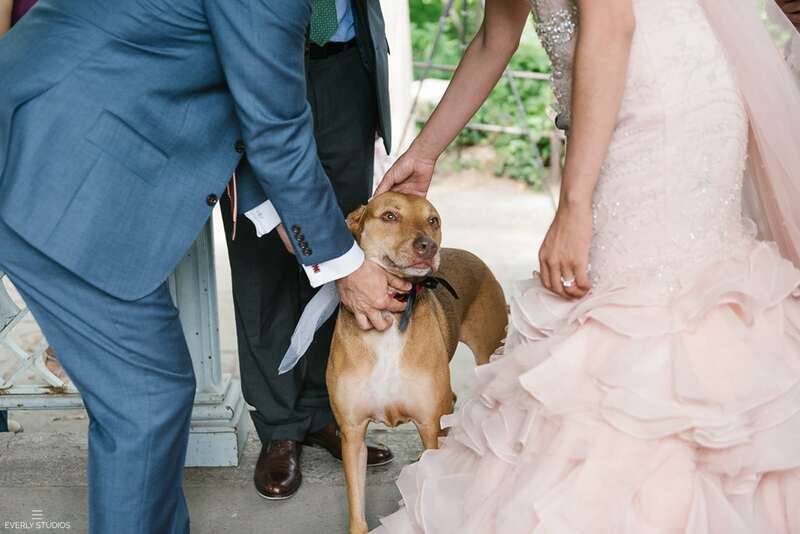 Despite that, the bride and groom were beaming, excited for their big day. 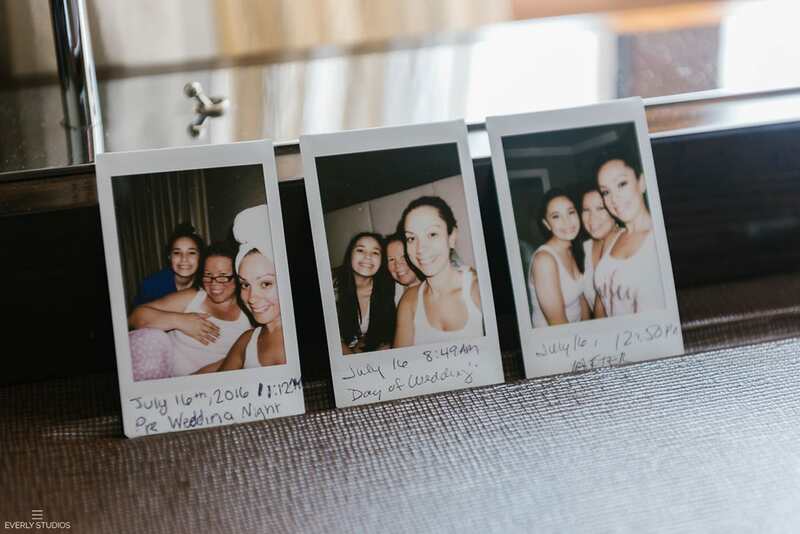 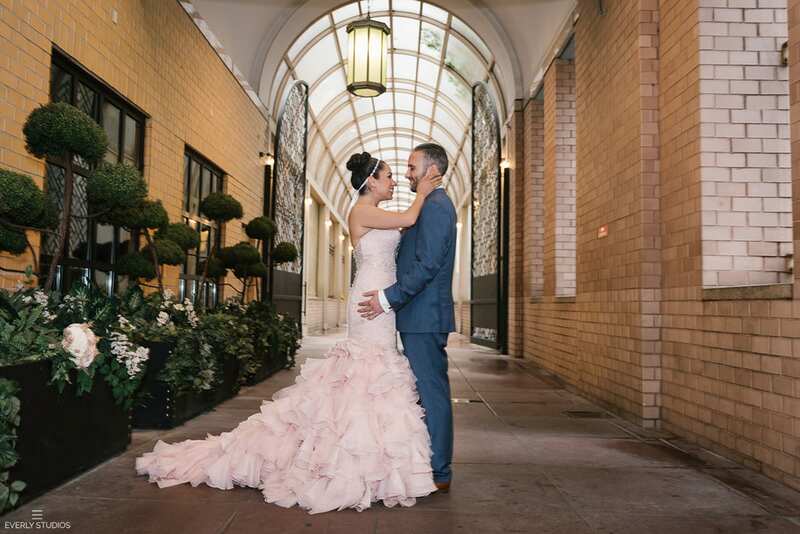 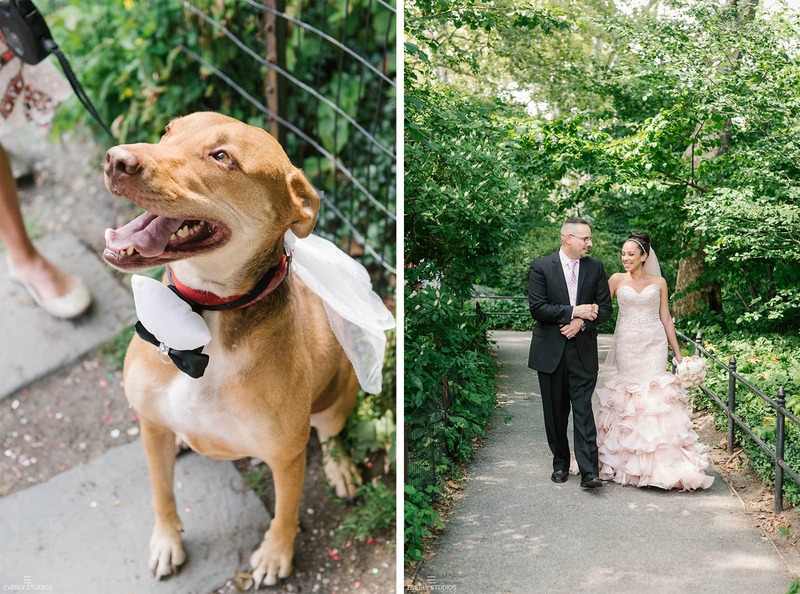 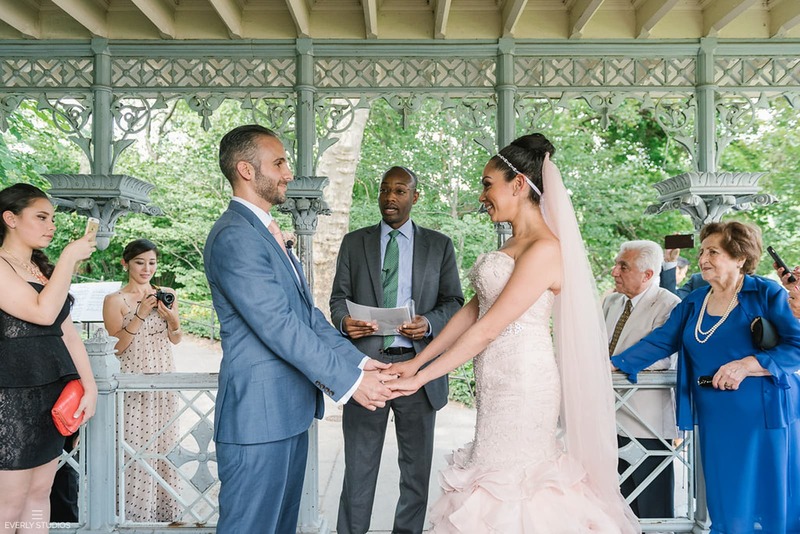 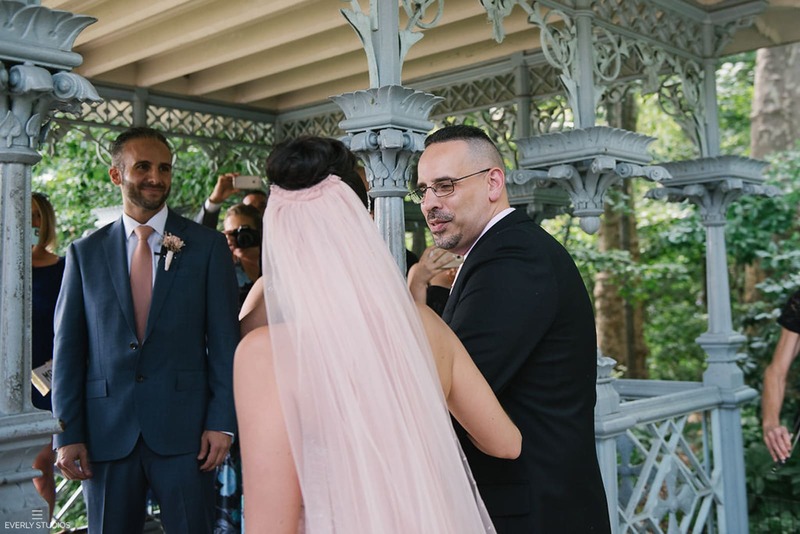 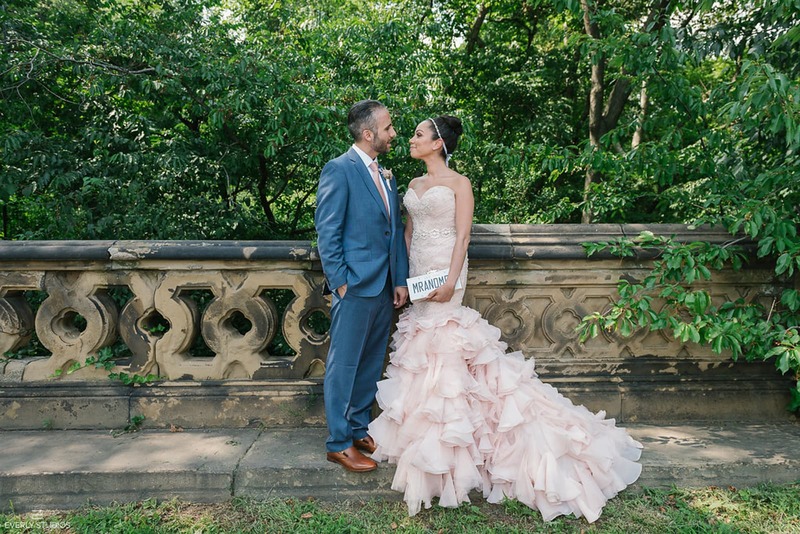 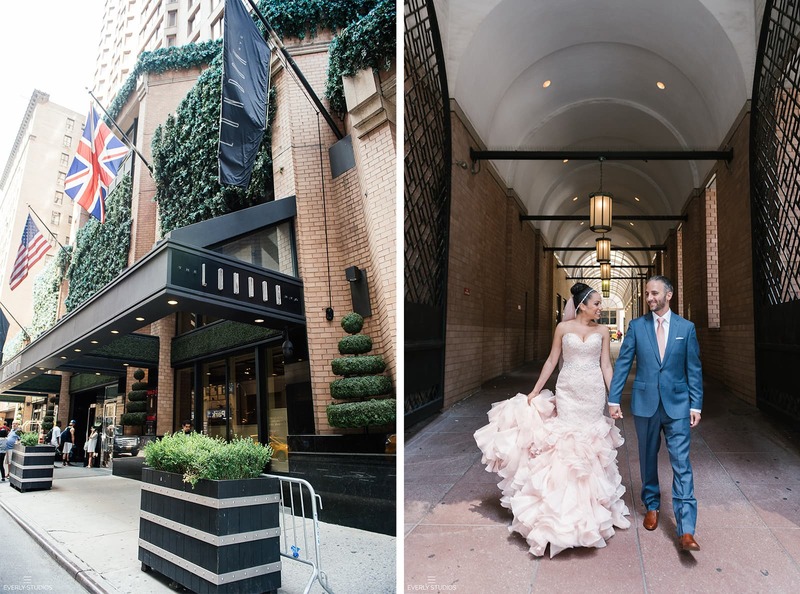 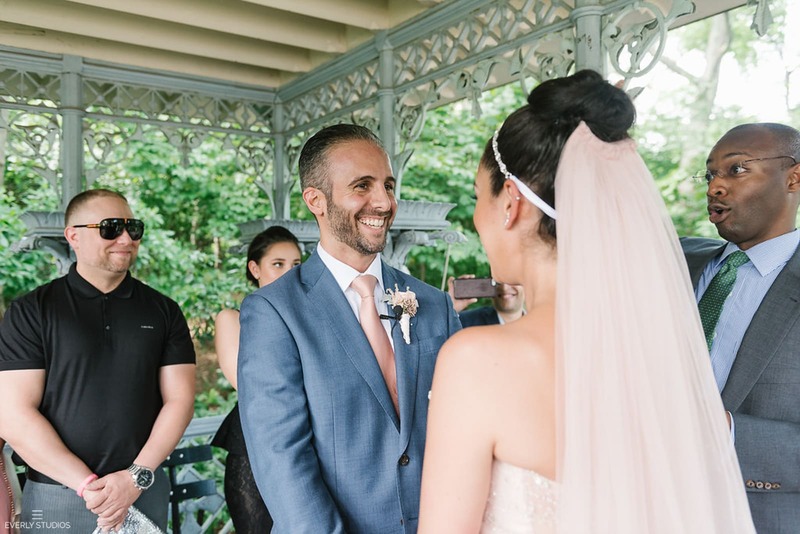 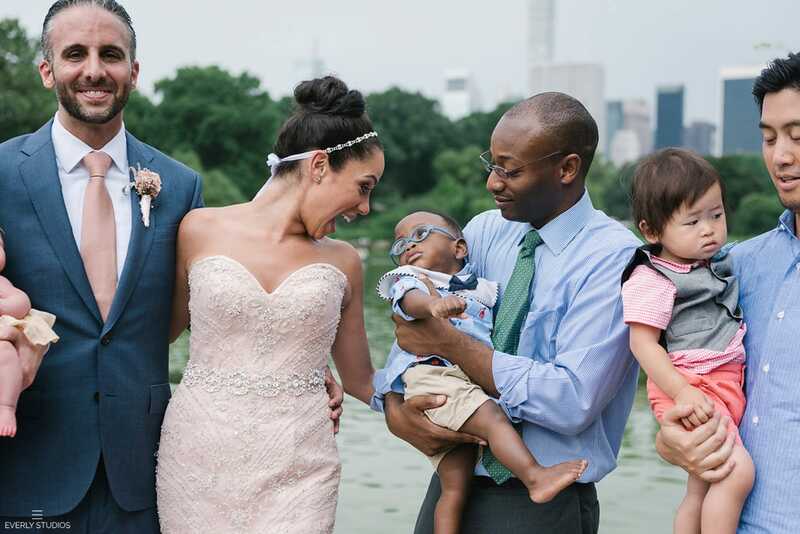 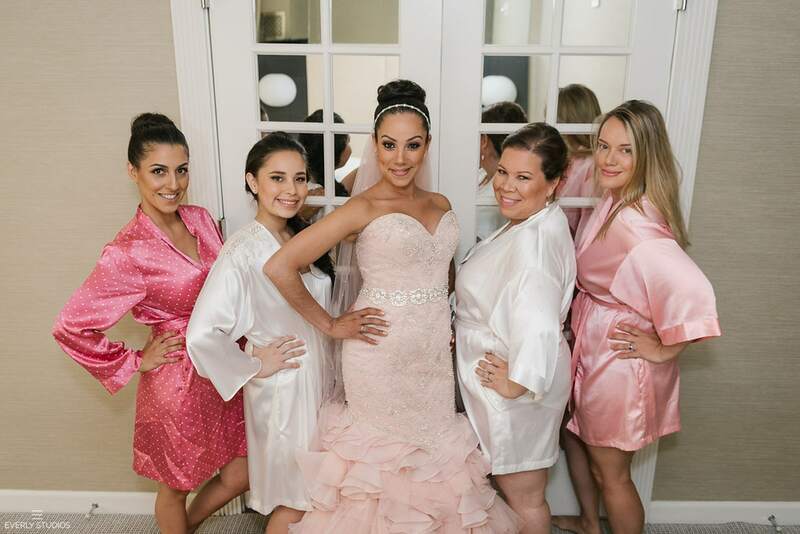 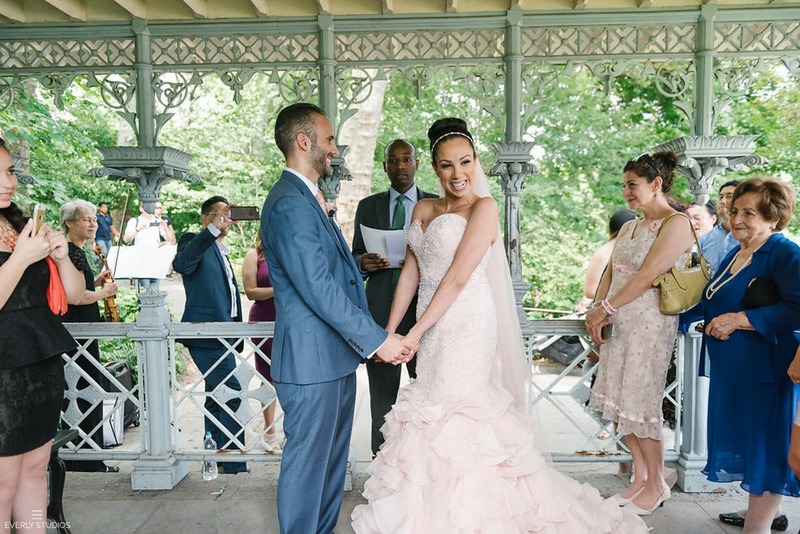 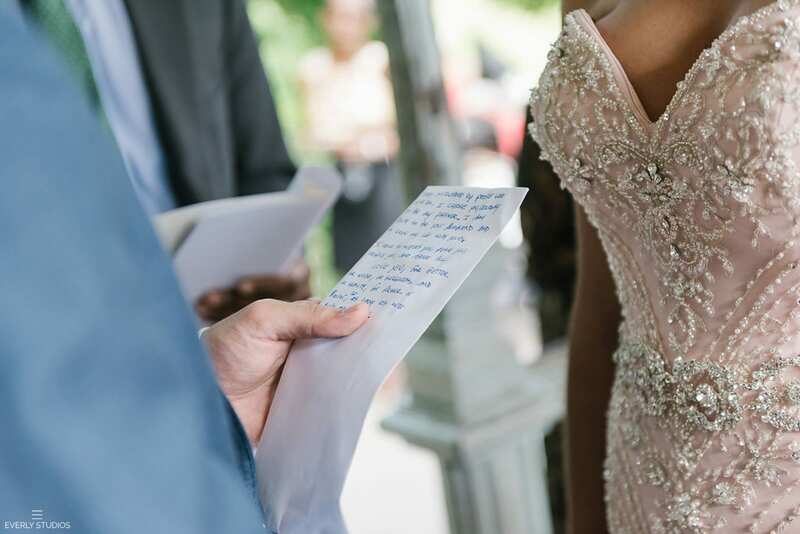 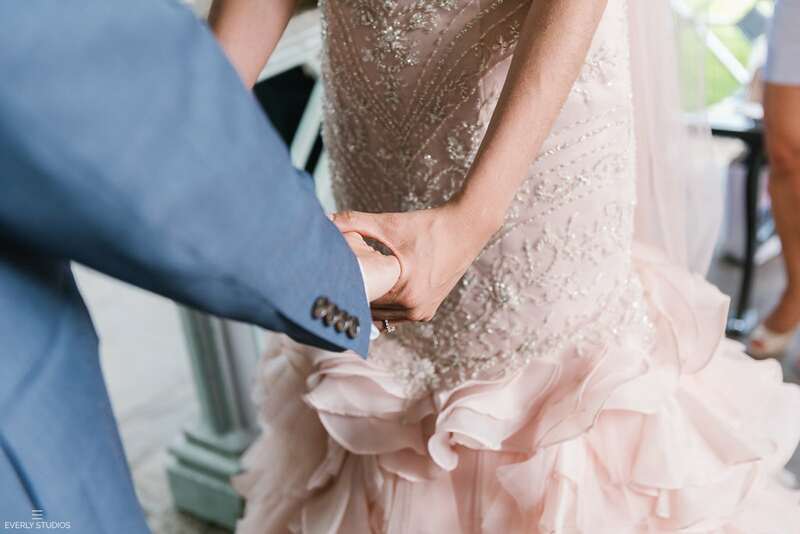 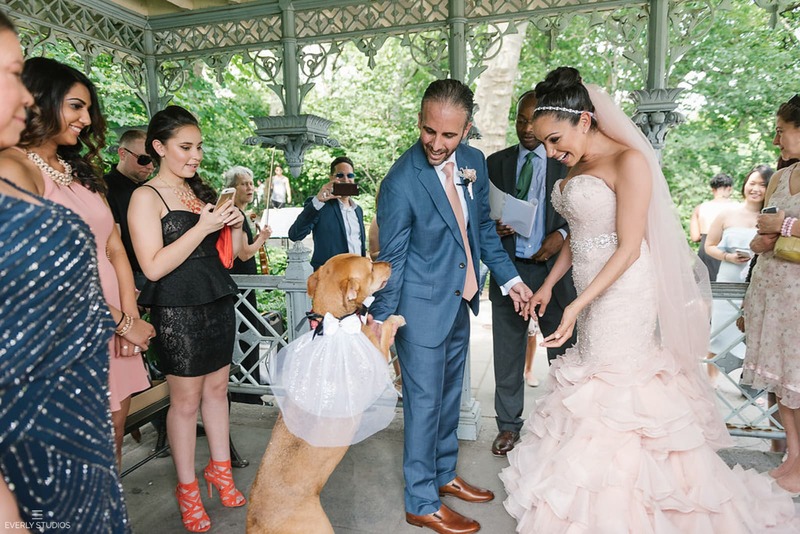 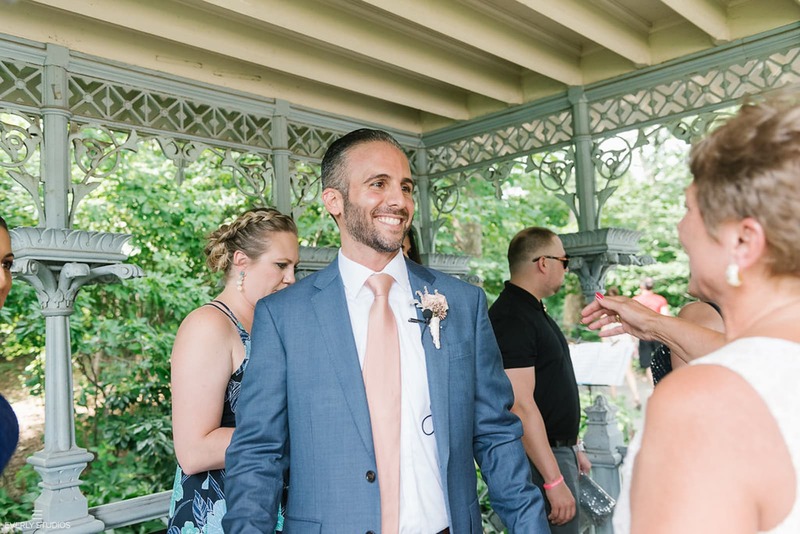 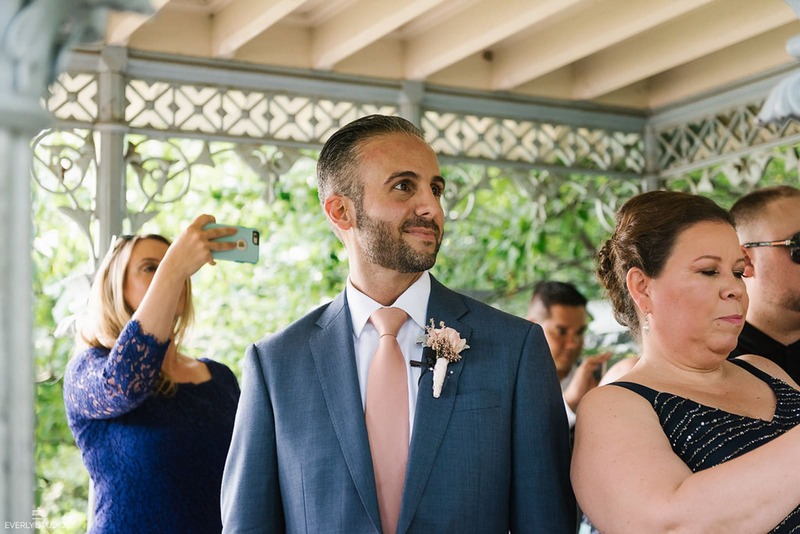 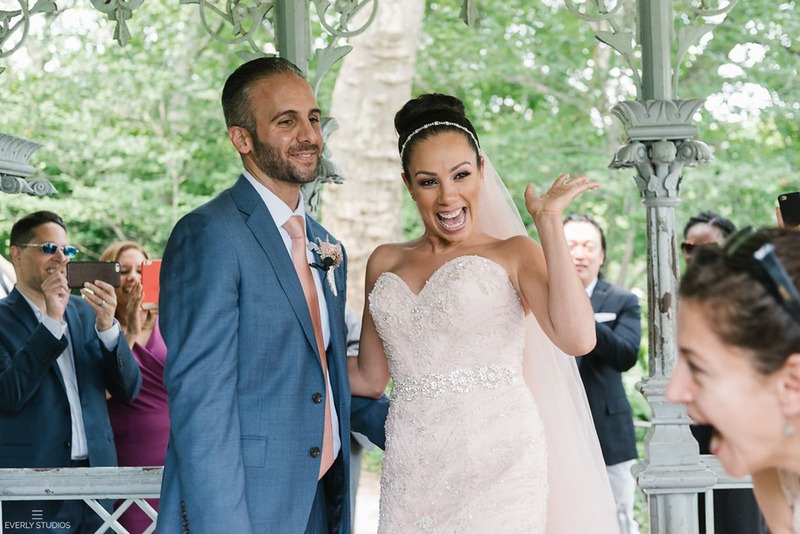 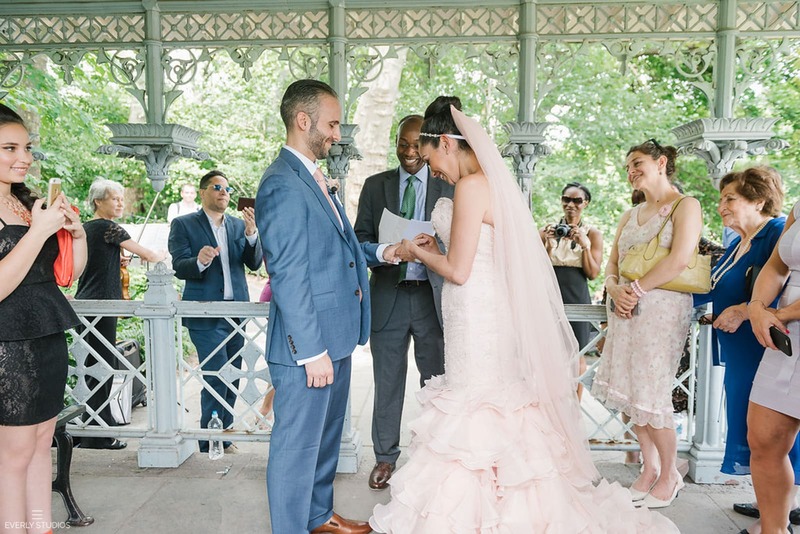 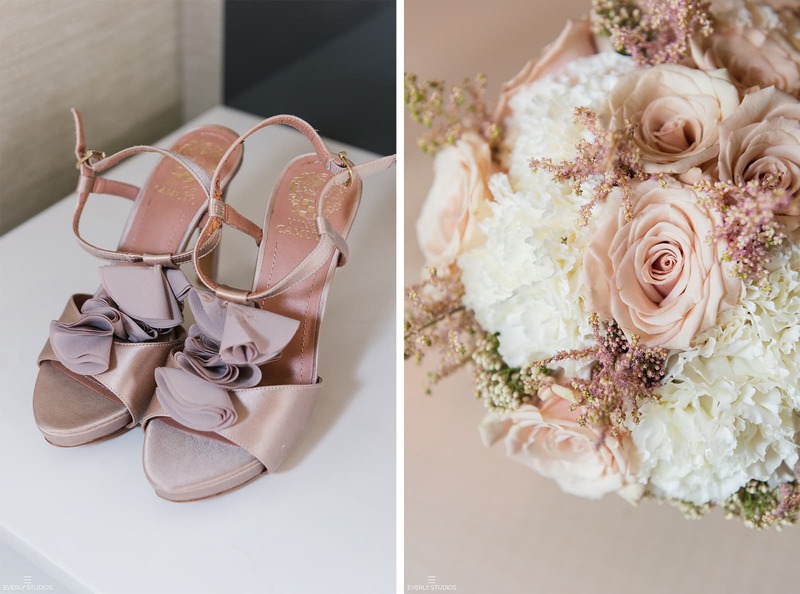 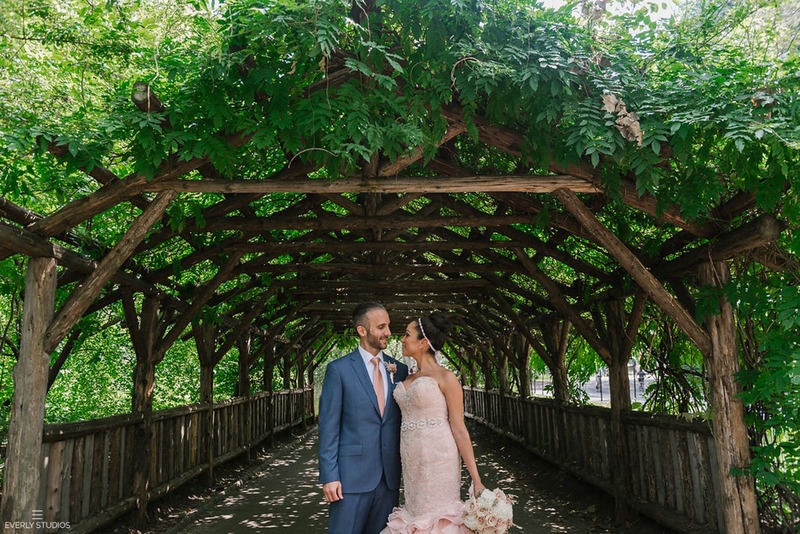 The couple had planned their Ladies Pavilion wedding to be full of personal details, like blush-colored wedding details (the bride’s favorite color), and their dog acting as ring-bearer. 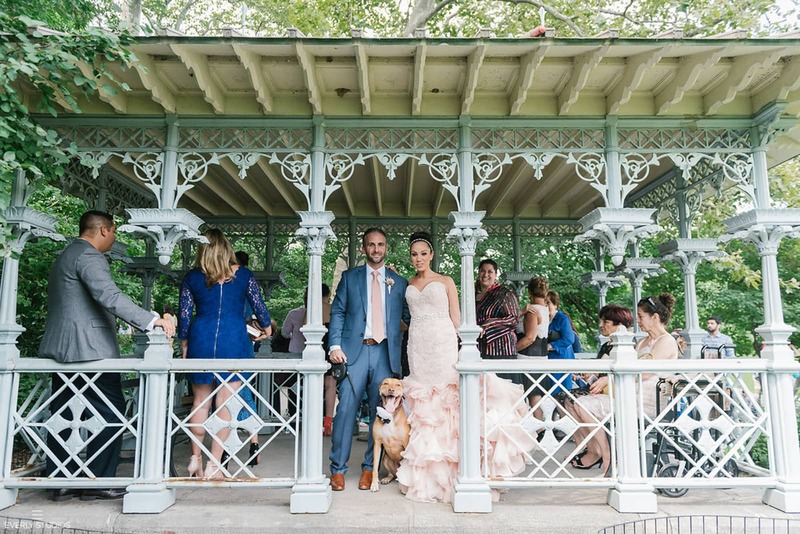 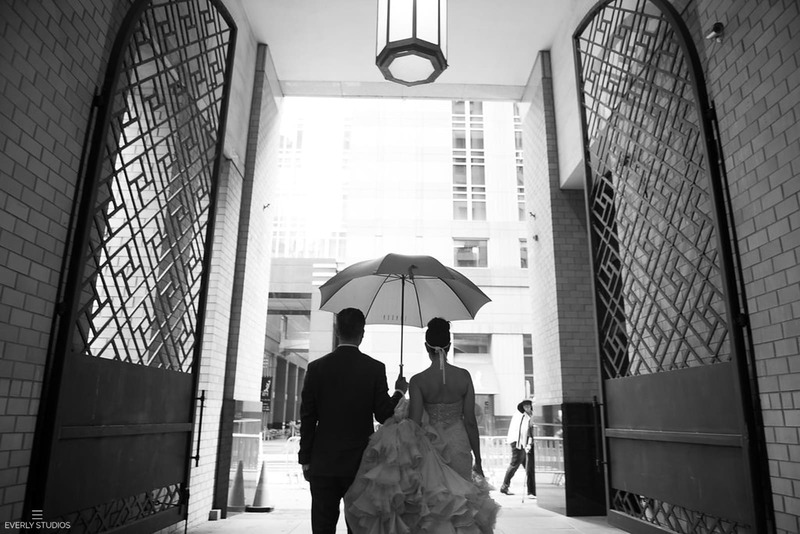 We had a blast snapping portraits in Central Park, then hailed bicycle pedi-cabs to speed off to the Ladies Pavilion. 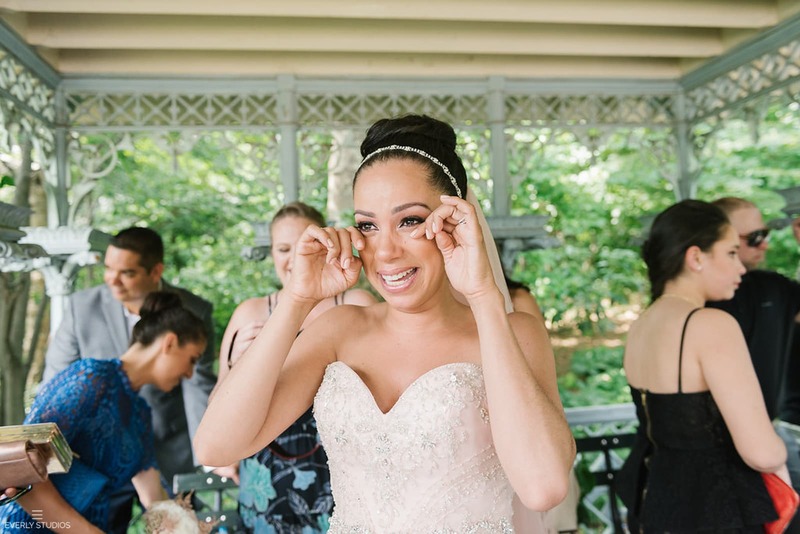 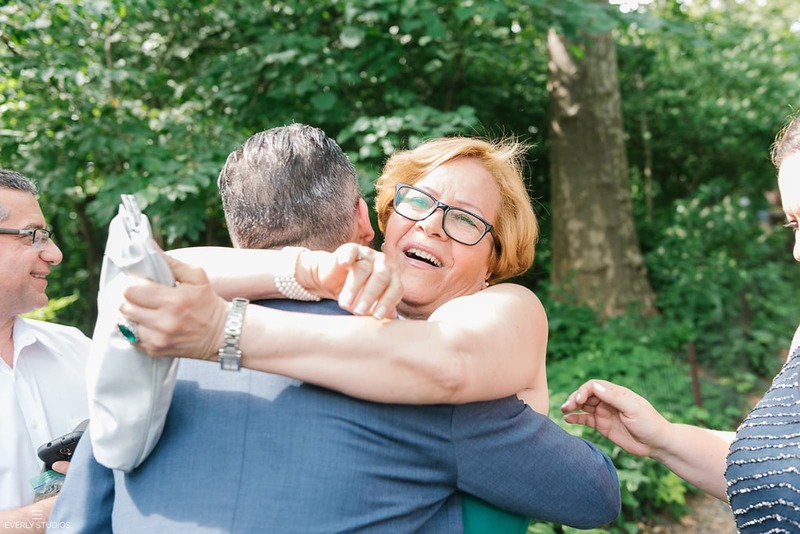 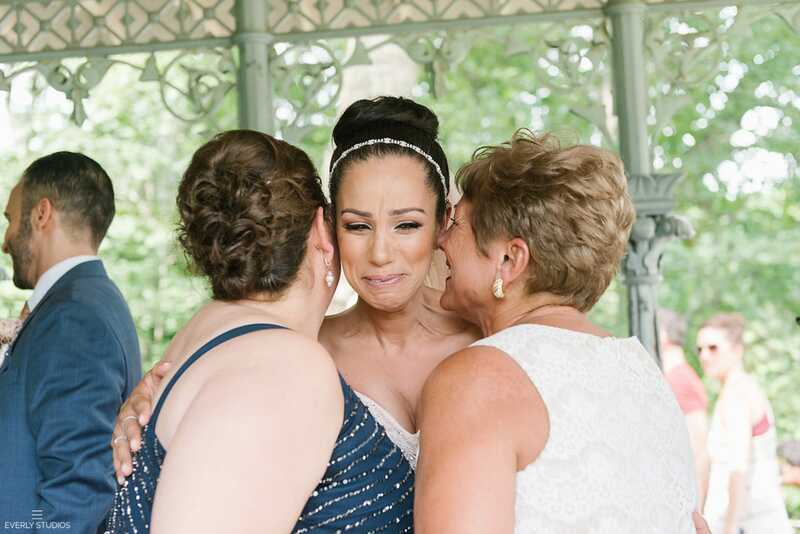 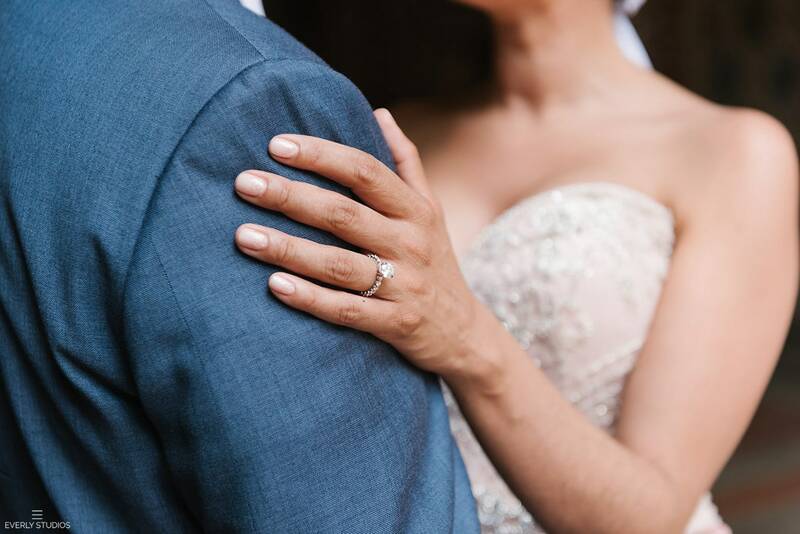 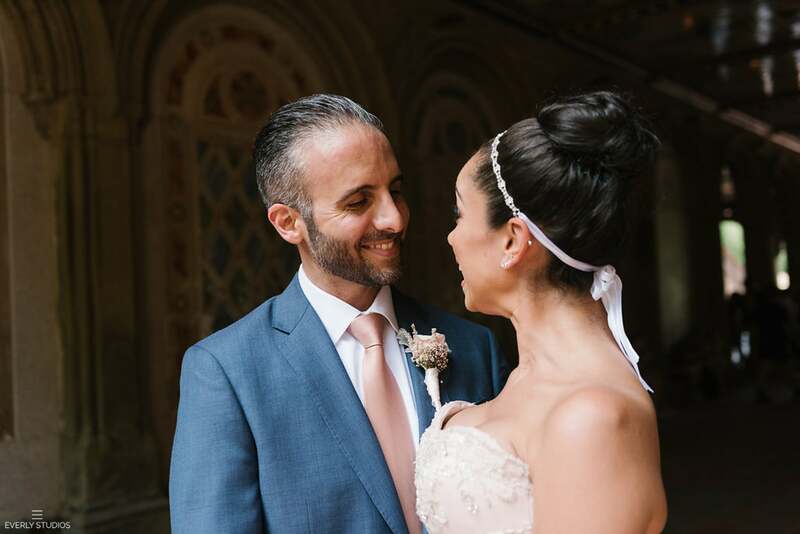 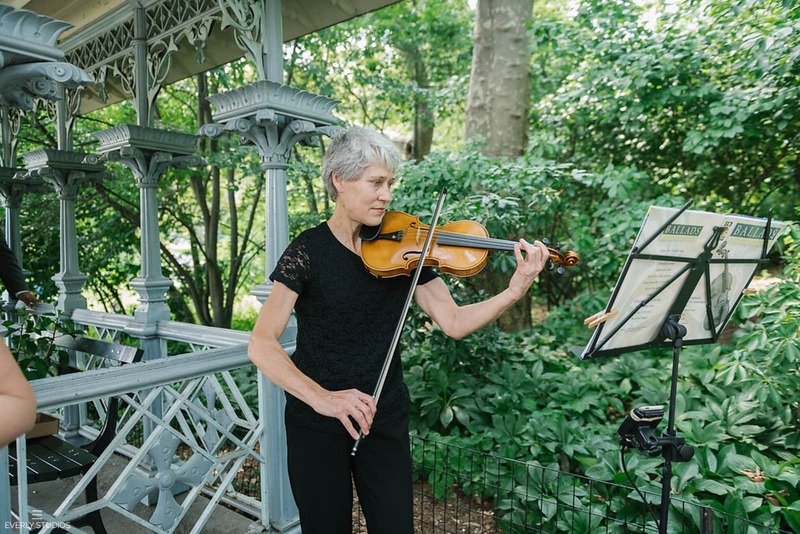 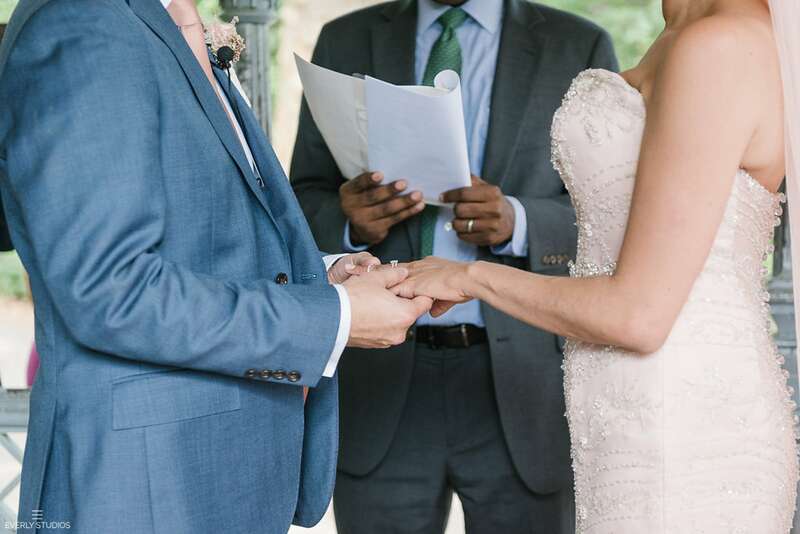 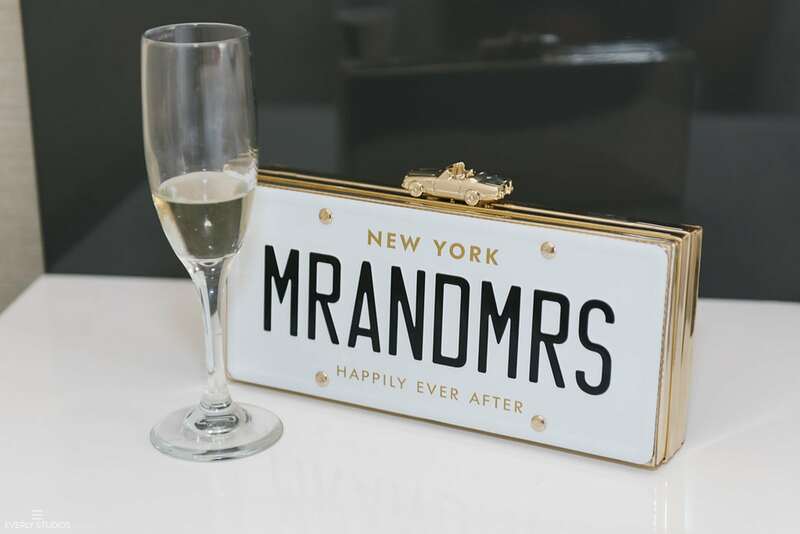 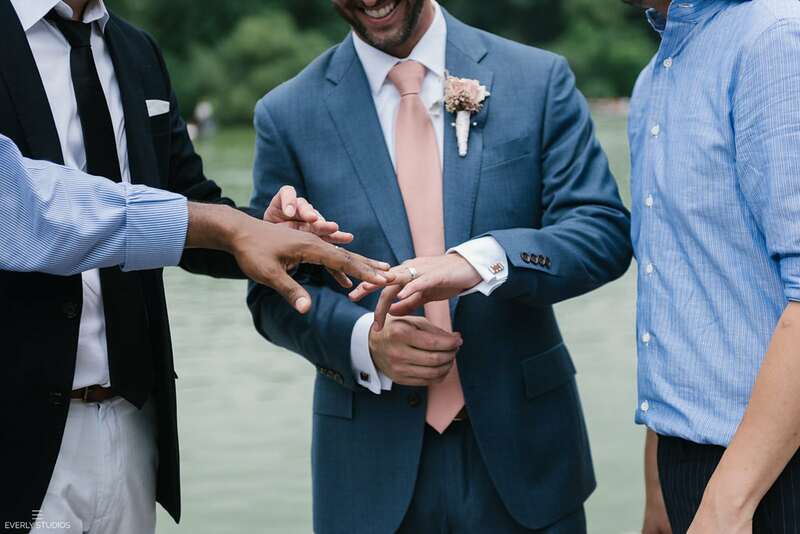 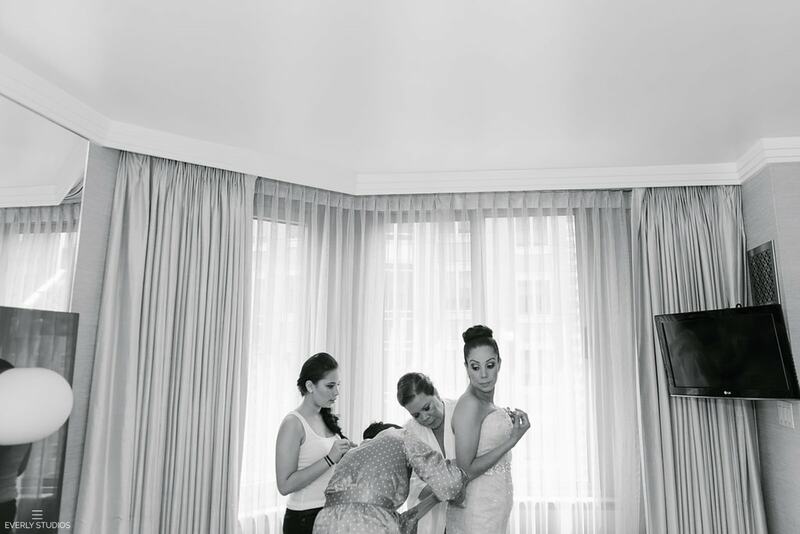 Once we got there, a violin player played classical music as the bride’s father walked her down the “aisle,” and the pair read personalized vows to each other before celebrating by the lake with their closest friends and family.